Correction Factor Number of day(s) inputed to correct the sales day accuracy if a mistake is made. 1. Select the fiscal year at the top left of the screen. (The fiscal year created from “Account – Master – Fiscal Calendar”). 2. Select the month from “Fiscal Period”, fill up the information and click “Enter” or at the right middle of the screen. 3. 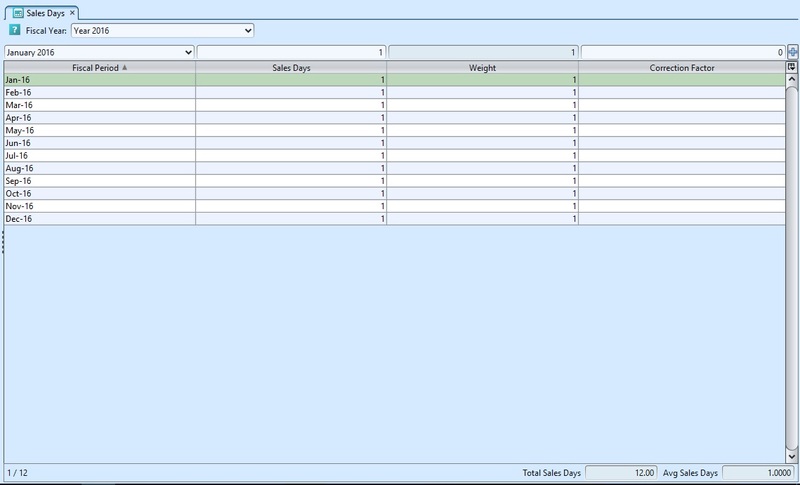 User is able to view the “Total Sales Days” and “Avg Sales Days” at the right bottom of the screen.